Stuart Weinstein - Shapiro, Blasi, Wasserman & Hermann, P.A. Stuart Weinstein is a civil trial attorney with a broad litigation practice that encompasses product liability claims, toxic torts including asbestos and talc litigation, automotive liability, complex commercial litigation and construction defect, delay and lien claims. He has extensive experience with every facet of modern civil litigation, from the management of pre-suit risk and exposure mitigation activities, to guiding clients through the pleading and discovery process, on to the conception and development of winning trial themes, and ultimately to the identification and implementation of favorable resolution strategies. Over the past 18 years, Stuart has first-chaired and co-chaired more than two dozen high-exposure jury trials, where he has obtained numerous directed and defense verdicts, and has successfully defended many of those verdicts on appeal. Stuart’s current engagements include the representation of several global enterprises in high-exposure litigated and arbitrated matters in State and Federal courts throughout Florida. Stuart is rated AV Preeminent® by Martindale-Hubbell in Litigation, Products Liability and Personal Injury law, which is the highest rating attainable in legal ability and ethical standards. Mr. Weinstein is a member of the Florida Bar and the Georgia Bar. 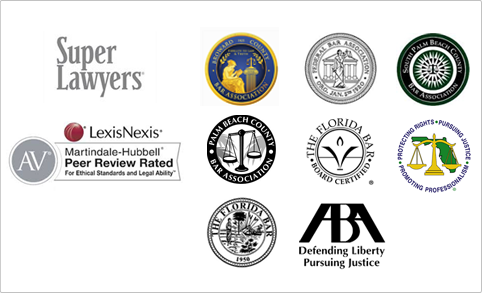 He is also a member of the Defense Research Institute (DRI) and the Broward County Bar Association.